Not long into their interview with public radio host Ira Glass, one of the three college-aged interviewers, a young girl, asks, with a desperate smile etched on her face, how to decide “which of her passions” to pursue. “Like how do you determine, how…”, she begins. “How do you figure out what you want?”, Glass interrupts. “How do you not only figure out what you want, but know that you’ll be good at it?”, she finishes. There’s a pause. In this moment, when Glass prepares his answer, the young girl’s earlier admission that she’s a pre-med, and doubting her decision to attend med school, hangs in the air. Glass can relate: he too had been considering med school when he stumbled into his first radio internship, after his freshman year of college. The students let this sink in. By the students’ reactions, this is not what they expected to hear. This interview is one of many conducted by the non-profit organization Roadtrip Nation, which sends students across the country to interview “eclectic individuals who have resisted pressures to conform.” They seek advice for building an interesting path through life. If you explore the full Roadtrip Nation video archive, as I did one recent weekend, you begin to appreciate the nuance and serendipity behind these compelling people and their compelling careers. Amidst this nuance, however, one conclusion is stark: the canonical advice to follow your passion is way too simplistic. As with Glass’s story of toiling for years before finally discovering a niche in radio editing, many of the interviews echo this same theme that passion is not something you discover in a career center. So begins an interview with Andrew Steele, the astrobiologist who was launched to scientific fame in 1996 when he debunked the evidence for life on Mars identified in meteorite ALH84001. As Steele recounts, his transition into astrobiology was unplanned. He had just finished a dissertation on high resolution bacteria imaging when he heard the news that a “geezer from NASA…thought he found life on Mars.” He realized his imaging skills could help settle the question, so he called up NASA and got a piece of the meteorite to test. “Did it take guts to call him up?”, asks one of the student interviewers. “Did you do that Ph.D. hoping you’d one day change the world?”, the student continues. “You didn’t know you were going to go into this at a young age?”, the student persists. An interview with Al Merrick, the founder of Channel Island Surfboards, provider of surfboards for many of the sport’s top athletes, expressed similar sentiments to his young interviewers. “People are in a rush to start their lives, and it’s sad,” he drawls, his voice soft with surfer cool. Merrick had been a successful amateur surfer growing up, but his path took him far from the breaks, through two years of college and a failed stint as a flower grower and a boat builder, before he returned to the sport and started shaping surfboards. The fiberglass skills he picked up in boat building, combined with years of competitive surfing, gave him an edge. “My designs worked, so I started making them for better surfers,” he explains. Don’t expect fireworks on your first day. Glass, for example, talked about the importance of forcing yourself to develop skills when you’re new to a job. “That’s the hardest phase,” he said. Once you’re good — and only then — start looking for your niche. Glass found editing-driven radio programming. Steele found astrobiology. Merrick found surfboard shaping. In all three cases, they were drawing from a deep reservoir of relevant expertise when they made their moves into the work we know them for today. None of them had identified these specific pursuits at an early age. “I had no idea what I was going to do,” said Steele. These compelling careers unfold as follows: You choose something. You work hard at building skills. You fail at some things and respond by shifting your attention to other things that work better. Over time, as you become more valuable to the world and confident in your ability, interesting opportunities finally start to arise. It is here, it seems, surprisingly late in the process, that passion reaches full bloom. In a telling clip, a group of students sit down with Manny, a lobsterman from Falmouth, Maine. As Manny lounges on the deck of his lobster boat, a Sam Adams in hand, he personifies our daydream of abandoning the rat race to enjoy a life of rustic simplicity. But even Manny, it turns out, can’t escape the necessity of carefully feeling out your path while building competence. Thanks for a different angle of basically stating “There is no such thing as overnight success.” The public often overlook the failures and effort involved to create an “apparent” overnight success. Good article, provocative, I like the idea of not “simply following your passion”. Hard work, struggle and LATER you are going to be good in what you do – and happy? I don’t like my job very much (except such things that the pay is relatively good, the hours are not bad, the location is great etc). And I have no desire to become good in what I am currently doing, since I do not see any value for others (clients and firm), if I did better. I do some things which I like (not passionately). But I can not see myself to be [b]bcommuted to only ONE thing [/b](and you need this commitment if you want to become good). I feel that I limit my options, that I will [b]restrict and limit my mind to only one idea or point of view. [/b] This thought kills me every day. Every day. I do some things which I like (not passionately). But I cannot see myself to be committed to only ONE thing and you need this commitment if you want to become good). I feel that I limit my options, that I will restrict and limit my mind to only one idea or point of view. This thought kills me every day. Every day. Isn’t the equation for passion just hard work plus recognition? “How long will you need to find your truest, most productive niche? This I cannot predict, for, sadly, access to a podium confers no gift of prophecy. But I can say that however long it takes, it will be time well spent. I am reminded of a friend from the early 1970s, Edward Witten. I liked Ed, but felt sorry for him, too, because, for all his potential, he lacked focus. He had been a history major in college, and a linguistics minor. On graduating, though, he concluded that, as rewarding as these fields had been, he was not really cut out to make a living at them. He decided that what he was really meant to do was study economics. And so, he applied to graduate school, and was accepted at the University of Wisconsin. And, after only a semester, he dropped out of the program. Not for him. So, history was out; linguistics, out; economics, out. What to do? This was a time of widespread political activism, and Ed became an aide to Senator George McGovern, then running for the presidency on an anti-war platform. He also wrote articles for political journals like the Nation and the New Republic. After some months, Ed realized that politics was not for him, because, in his words, it demanded qualities he did not have, foremost among them common sense. All right, then: history, linguistics, economics, politics, were all out as career choices. What to do? Ed suddenly realized that he was really suited to study mathematics. So he applied to graduate school, and was accepted at Princeton. I met him midway through his first year there–just after he had dropped out of the mathematics department. He realized, he said, that what he was really meant to do was study physics; he applied to the physics department, and was accepted. You are writing words nobody wants to hear, but everybody should hear. Thanks Cal. I’m always struggling with sentences like “hard work can make you talented”. I think it’s not just about hard work. Hard work can help you, but it can’t fix clumsiness. Great post. It is interesting how when people think of passion, there is hardly ever the association with hard work. Passion becomes whatever I am not doing now and what I am doing now is generally regarded as hard (and therefore unpleasant). An interesting dichotomy that drives this constant attempt to escape the present and flee into a fantasy future. >Isn’t the equation for passion just hard work plus recognition? recognition(being part of a group). In high school, I studied languages, wanted to be an interpreter. When I had a chance to double major in German and English with a full scholarship, I balked: I had no confidence in myself being able to survive in college. I ended up going to a business school, choosing the most challenging course they had as a medical assistant, finding a job for myself and 3 other schoolmates as surgery technicians, then becoming an RN – and now, as an avocation and un-sought passion, I rescue and re-home hounds – Beagles and Coonhounds. I spent most of my nursing practice in Rehab nursing (stroke, head injury, spinal cord injuries, etc.) after having worked in OR, orthopedics, ER, medical, respiratory, and neurology – all of which well supported my Rehab nursing practice. Where am I now as a middle aged 30 yrs of practice RN? In the ICU – right back “in school,” completely challenging my brain and critical thinking skills. Oh, and I still have the dogs. Who knows what the future will bring? I have survived cancer – I am alive – let’s rock and roll! I love this post as I, too, had been diverted by the “follow your passion” blogs, be your own boss, etc. I love what I do – not every day but in general :). My supporting passion is prayer – every day, several times a day. The path to your bliss or passion is rarely a straight line. I would be very leery of a straight line, now in hindsight. Thanks – this is a great blog you are doing. Stefan, I think what’s needed is a campaign motivating behavioral and habitual change. There is a really interesting dialog in this post and the comments so I wanted to comment a second time because I was trying to work out what the main point of this post is. 2. They moulded themselves to the job i.e. they changed themselves. The passion route by contrast would expect the searcher to find a perfect fit of a job, no change needed. That got me thinking about the standard definition of work passion? I have been reading a book called How Pleasure Works by Paul Bloom in which he argues that human beings think in terms of essences. The well known metaphor is that used by Michelangelo of chipping away at the block of stone to find the perfect “essential” sculpture encased within it just waiting for release. Someone thinking in essential terms would look for their work as passion in much the same way as Michelangelo’s sculptor. “It has to be there somewhere just waiting for me to find it, to dig it out of the block of stone that is the world.” Of course there is work involved in sculpting from a raw block of stone but the perfect essential sculpture (just like the perfect job) is just waiting there. As the sculptor, I don’t need to change myself at all. 2. Changing their attitudes. By this I mean that they let go of the magical Aristotelian type job idea. This in itself takes effort and a high degree of self consciousness. The effort lies in letting go of the recurring thought that there is a perfect ideal (essential) job out there. This is the thought that drives people to constantly change jobs. Self consciousness involves recognising ones involvement in creating the hell that this the constant search for the ideal. A common act of self consciousness is becoming aware of (if it exists) some deeper level of unsatisfactoriness in one’s life that is being mapped onto this endless job search and then working through this. It seems as if most people present competing interests as a queue. Try something, evaluate it, continue at it, or move on to something else. However, I’m not sure this is realistic at all. From my eyes, an individual has competing interests of seemingly equal “abstract” value. They question is how does one choose between seemingly equal interests? Radio or medicine? Or, is the take home point that it simply doesn’t matter… so long as you work hard, follow your interests, and build skills along the way? this speaks to me in so many ways. A realtor in Connecticut named Karen Brewer ridicules parents’ efforts to lure or squeeze their kids into a passion, hoping that if the kids will only become passionate enough, young enough (with trainers, tutors, etc. 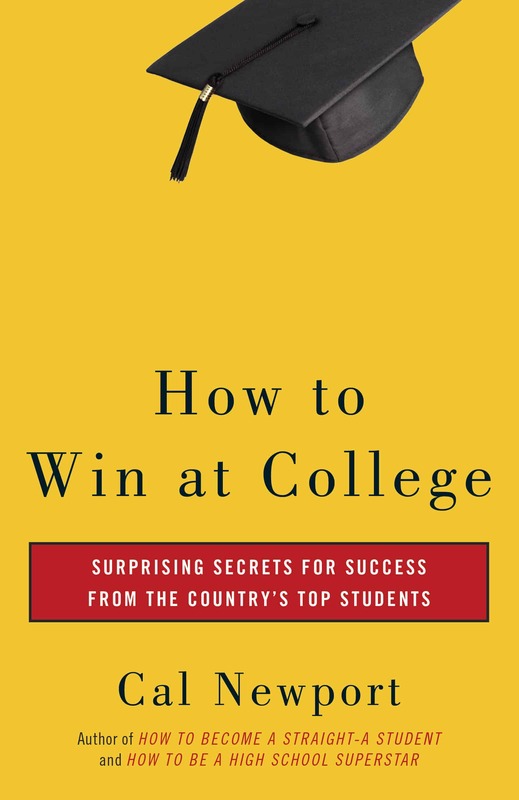 ), then maybe they can get into a good college. I think this is a good way of thinking about things. Being passionate about what you do is a good goal. The issue with existing career advice is that we’ve made the subtle shift from be passionate to do what you’re passionate about. These are different propositions. It depends who you ask. According to the SDT researchers, for example, it’s work that emphasizes competence, autonomy, and relationships. It’s crazy: their archive is filled with all these nuanced insights on fulfilling work, yet their take away message, at least according to their marketing literature, is the standard, non-conformists, do what you love-style dross that doesn’t help anyone. At the very least I’m sure you can agree that hard work or “strategic, sustained effort” is the most important factor in becoming talented, no? I’m still unsure of the connections between this and deliberate practice – I thought deliberate practice assumes a level of focus? If we necessarily must begin early to be competitively ‘too good’ and to get that 10,000 hours in, how do these things fit with a desire to not be too focused too fast? For what it’s worth, my Dad took a somewhat similar route to Manny. He got a degree in Engineering Physics (lobstering to pay the bills), worked at a defense contractor for a year, decided he hated it and went back to lobstering. He regrets that decision now, it takes a serious toll on your body, and most of the time it is fantastically boring. Not to mention government regulations are tightening constantly. Cal, thanks for the post. I’ve been a fan for a long time and always enjoy your perspective. Have you considered that this whole idea of “passion” is something that we are eternally struggling to realize, but ultimately it’s the desire/attachment to discover it that causes anxiety and stress in the first place? Shouldn’t we try to live in the present moment rather than worry about some future state in which we are passionate about our work? Why not try to find passion in what you’re doing right now? Just wanted to say that yours is probably the only blog in my RSS feed that I automatically read every time it pops up, without fail. Your posts and perspectives are always insightful and relevant. I just wanted to give a general shout out for this series on “rethinking passion.” I recently graduated in June of this year, and I have been really interested in reading your thoughts on building a successful life after graduation, specifically in terms of the work component. Too bad I didn’t discover your blog and books until my senior year of college—seven indecisive years resulted in an unfocused double major (biochemistry and Spanish). So, thanks for writing this series, and I am looking forward to reading more. I find this extremely fascinating and inspiring; as soon as the feelings of hopelessness set in about finding my passion, the meaning of life as I interpret it, I will think about how we are all meant to follow our own path. It isn’t about what you are “expected” to do, but it is about the road you create in the search through your self reflection and growth. I’ve actually decided I’m going to take a year off from the University of North Carolina at Greensboro after this next semester to travel out of the country and to write a book; its going to be writing to liberate myself and to find unknown paths and concepts I can only understand through experience. Everyday, I learn and have an understanding through people. My family has set a path for me with an expectation in education and I have always accepted that a college degree is what “you” are “supposed” to get in life. I agree, but without knowing what my true passion is, or what talent I want to pursue, I will never reach my full potential. Thank you for making me feel more at ease in my search; time can not be rushed in this process of life. If anyone has any advice or ideas I would love to hear it. I’m still unsure of the connections between this and deliberate practice – I thought deliberate practice assumes a level of focus? One way I’m thinking about it is that the focus required of DP is, for lack of a better word, more focused than your general hunt for an interesting path in life. 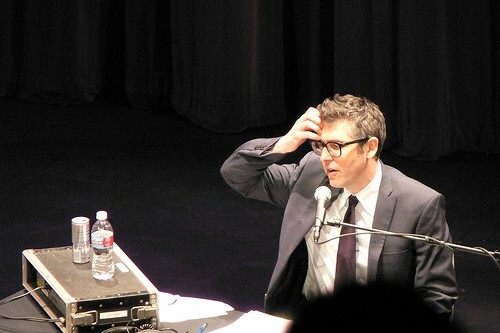 Ira Glass, for example, was using DP to master the arts of radio. As DP built these skills up, he eventually was exposed to interesting directions to take these skills, such as moving into editing-centric radio programming. Put another way: DP builds skills. These skills are the currency you use to find and pursue interesting occupational paths. Shouldn’t we try to live in the present moment rather than worry about some future state in which we are passionate about our work? Cal, there’s a speech by Paul Graham that says essentially what you’re saying here – only simpler, cleaner, and clearer. 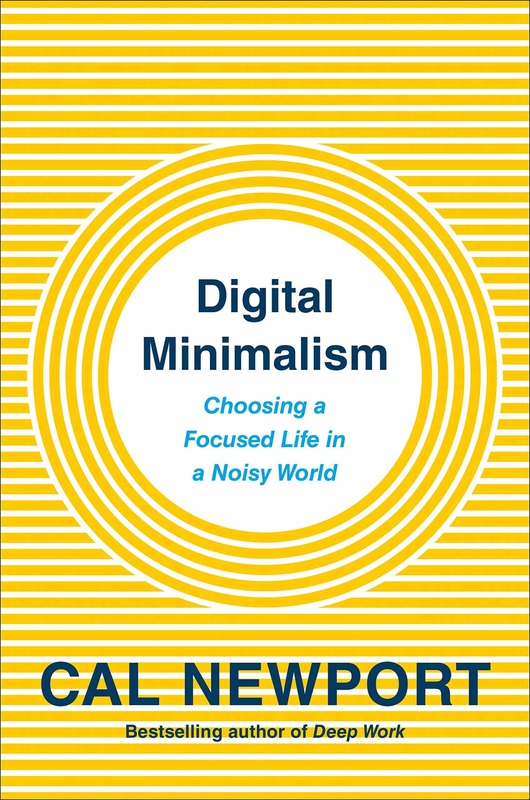 He also gives some general guidelines (using the analogy of a glider) to figure out how to get to that place where you can do meaningful, compelling things. Instead of working back from a goal, work forward from promising situations. This is what most successful people actually do anyway. In the graduation-speech approach, you decide where you want to be in twenty years, and then ask: what should I do now to get there? I propose instead that you don’t commit to anything in the future, but just look at the options available now, and choose those that will give you the most promising range of options afterward. Good point about the conflict between being focused enough on the current job/skillset but unfocused in your overall career path. I think the key is to be deeply focused on a day to day basis but then “come up for air” to the 30,000 foot level birds-eye-view to get a “lay of the land”. It’s not an easy thing to do and I’ve met only a few people who could switch back and forth between the two easily and do both well. I won’t lie Cal, I’ve been following you for years, and read both of your college books, and I never would have imagined you posting something on RoadTrip Nation! Granted you don’t agree with it 100% which is to be expected. 😉 But still, I admire what you’ve wrote here. I do believe in following your passion(s) but a lot of people do look at it from the wrong angles. And I think its important to realize that some people may know early, some may not, some may ignore it and some may embrace it @ 70 years old. Who knows! It’s different for everyone and one-size fits all advice doesn’t work. But thank you Cal for never stopping to help people and open eyes with your work! You’re the second person to send me that speech in the last couple of days. It’s certainly “clear” because Paul is giving the answers: “here is my advice for living your life.” His advice sounds good to me, but I’m not ready to commit to an “answer” just yet on some of these complicated issues surrounding how people end up in compelling situations, so you’ll have to deal with some ambiguity for now. We’re so glad you like some of the really awesome interviews with our Leaders. We love that our Interview Archive is able to inspire people around the world with Leaders’ stories of how they built their lives around doing what they love. It’s true that a lot of our Leaders didn’t really know what that certain ‘love’ or ‘passion’ was until they had gone through a bunch of different successes, adversities, and opportunities in life. We think that’s part of defining your own road in life—going though successes, failures, risk-taking, and making tough choices. Sometimes that’s really what gets us to where we want to be—even if we didn’t know where those experiences would eventually take us. Whether we know what that certain ‘passion’ is at the beginning of our journey or not, we can listen to what others have gone through and be inspired by their stories to take risks on doing something that lights us up. We were really inspired by an amazing interview on Roadtrip Nation: Season Seven, which is airing currently on PBS, about a broker-turned-sneaker artist Van Taylor Monroe who left his financially sound job in the finance industry to pursue a path in what he always really wanted to do—paint shoes. His advice sounds good to me, but I’m not ready to commit to an “answer” just yet on some of these complicated issues surrounding how people end up in compelling situations, so you’ll have to deal with some ambiguity for now. This essay is also shown on Scott Young’s most recent post, and I also featured it on my Bookmark Sunday. Committing to anything means you’re pigeon-holed to sticking to the plan. This is dangerous especially if you don’t know what you want, and there are tons of better options available if you’re not dragged down by your commitments already. As usual, I think you make some great points here. I agree that it is dangerous to simply follow your passion, i.e., expect that following your passion will not require hard work. The root of “passion” is “to suffer”, and passionate people typically experience suffering, in their personal and professional lives. As far as I can tell, all three of the figures you describe in this post were passionate about what they did, but they also worked hard to achieve their success. In general, I think that’s what passion is about: providing the fuel for working hard at something you believe in. I remember hearing a radio interview with Sir Ken Robinson when he was promoting his book, “The Element: How Finding Your Passion Changes Everything”. He said that the two keys to success are attitude and aptitude, and if he had to choose one or the other, he would prioritize the former over the latter, as with the right attitude (or passion), one can do the hard work needed to develop the aptitude (or mastery) needed to be successful. This may all be consistent with your perspective, but sometimes I interpret some of your remarks as suggesting that passion is not important. I imagine there are people who have achieved great success without being passionate about what they are doing, but I suspect these are more the exception than the norm … and nothing in what you’ve written here leads me to believe that the three people you’ve highlighted were not passionate about their work. I’m not sure that they would all describe themselves that way. In general, I don’t think passion is unimportant. But I differ from others where I think its importance can be found. That is, I think passion describes a goal, a place you want to get with your work, not necessarily a pre-existing force used to identify the best work in the first place. For many people there are many paths on which they could develop passion. Working right is what’s key, not finding the exact right work. So are you basically saying that people should “grow where they are planted”? What if you have no interest in the work that you are doing, but you have no idea what else you’d rather be doing, should you then force an interest? The dilemma sometimes is it is difficult to succeed in a job in which the tasks are not of interest to an individual. What is a good way to handle this? can you find a “skill” in fields that are liberal artsy like economics, history, etc.? if passion is not decisive in choosing a career, what is? 2 life changing books for orientating your life in your chosen direction. What’s the difference between what you say about mastery and being so good you can’t be ignored and the lifestyles and work ethic of generations past (the last 2 to be specific). These were generations of people (factory workers, paper pushers, salesmen, etc) who spent their whole lives working the same job, perhaps for the same company, inadvertantly mastering what they do and yet they were never rewarded for their (your definition of) passion with this autonomy, competance, relatedness you speak of. Y’all are getting skills and talents confused. Skills require talent and hard work in varying degrees for their development. Those with little talent can master amazing skills through their hard work and persistence. To reach certain levels of certain skills, there has to be some minimal amount of talent (classic example: center in the NBA; talent includes a certain body type and athletic prowess). Almost any skill at a high level requires considerable amounts of both talent and hard work. Very hard workers can pass up the more talented and lazy. As far as pursuing your dreams, you just have to be honest and realistic with yourself. First, do I at least have some small shrivel of talent that through my hard work I can develop and master the skill of my dreams? Second, do I realize what kind of work it will take and am I willing to do that work? Some skills I realize that my talent is so low, I would have to dedicate every effort I could muster just to do it well. And I’ve decided it’s not worth it. I decide to use my efforts elsewhere, where I have a bit more talent, and feed my passion into that. Be realistic, choose what you think you love and can do well, and after that, be loyal and dedicated and passionate about your choice. This article is not accurate. Passion is seperate from skills or talent. How good you get at doing something is NOT a measure of your passion!!! Your passion is what you like to do. period. whether or not you have skills to do it. For example I have a passion for helping people heal. The desire comes so naturally to me. BUT I have little knowledge and skill (certification, degree ,experience etc). Not yet. When you’re passionate about something, it is easy to follow through and get that degree in it, or get skilled at it, or get experience in it cause it hardly feels like work. You love it! Thats how I feel. Thanks very much for this, Cal. I think that you are doing something terrific with this blog. It seems from the comments above (especially the one right above this by Ash) that the subtlety of what you are both saying and pointing towards is just beyond a few folk right now. Let’s hope that all those who really need to accept that the unstraightforwardness of their own journeys (I am one of those) is not necessarily a ‘bad’ thing who pitch up here looking for answers don’t miss the point. I am very grateful and wish you all the best. First of all — this is a TERRIFIC blog. You’ve helped me and many others bust myths and get back on our feet again. The value you’ve added here is more remarkable than even you could imagine. Every job or field is like being a relationship, it grows and changes over time — there are good days and there are bad days. The people who really keep liking it have found a way to go beyond the ups and downs and connect it to something that has real lasting value that they can directly experience. That takes a lot of time. Until then I cannot call it passion or love at all. I can only call it an infatuation because it’s driven by castles built in the air. I think these terms “passion” and “dream job” are the most abused words in the dictionary — it’s like a child’s view on marriage. I even coined up a phrase for it — “Wanting is better than having”. That is not passion. People who get interviewed and talk of passion are often those who crossed those issues a long time ago. They tell it to inexperienced “kids” who can only imagine what they are talking about. I think this advice of “follow your passion” is a dangerous one to give to inexperienced youngsters who don’t know what it means. In my time at college, I saw too many brilliant students fall victim to it – they were alright until they started thinking like this and then….Now after a couple of years they’re busy looking for the “next passion”. A lot of people believe in finding the “right thing” that will make you happy. From my experience, I say that the more we worry about our happiness, the less we ARE happy. I’d rather reverse the statement and say that we ARE happy all along, so we’d rather focus on doing the right things that work. That might sound paradoxical and yet I haven’t seen anyone laugh like the way some babies do. You know I realized that as a kid I was very happy and just did the right things that succeeded – then I was happier. Then later I started looking for the “perfect thing” that will make me happy, and I could never find it. I’ve had a a lot of friends talk of finding their passion, but name anything, any hobby, any field, even money and they talk like it’s worthless. On the contrary those who worry little about “passion” usually do the right things and excel long enough to find out what passion really is — and the best among them are those can use their career to keep their energy at all 4 levels (physical, intellecutal, emotional and spiritual) high. Cal, it truly is cute seeing you progress through the subject of passion. Keep it up, you have a lot more room to develop on a topic that is discussed often, but rarely with open eyes and an open mind. Be abundant with your ideas, but careful with which you label theories. Do it for the sake of the naive, the impressionable, and for all those who’s egos know too little but pretend to be aware (such as Alex, comment #48). For those that proclaim that they are above others by ignorantly declaring them to be below an idea, are surely compensating for lack of genuine comprehension. 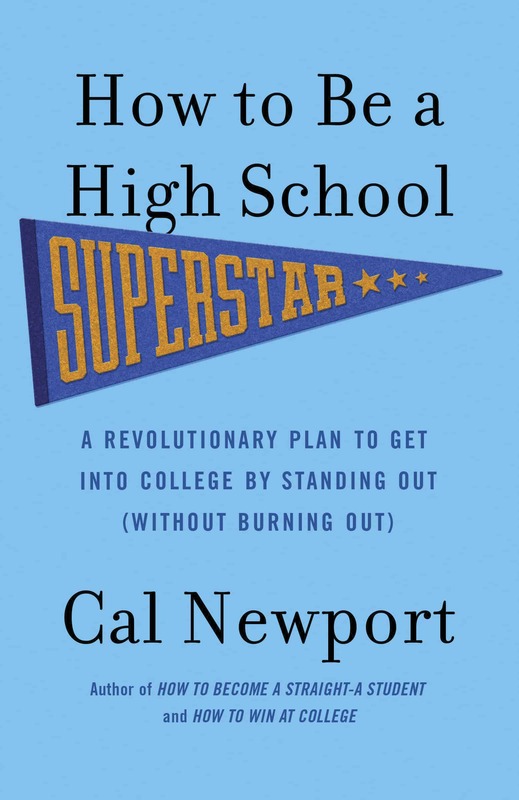 I’ve read 3 of your books (all except “How to Be a High School Superstar). In case you decide to ever do a second edition of “So Good They Can’t Ignore You,” I wanted to say that this particular blog post was the “missing piece” of the book. 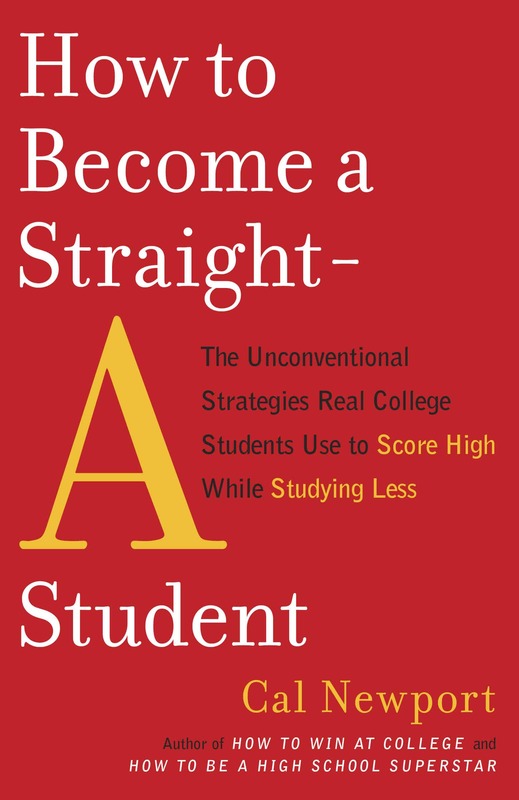 I am starting community college in a month and I really was wondering how to apply the advice from your most recent book to my current dilemma of finding a starting point. My conclusion was to not pick my major until the end of my second semester and hope I’ll have a better idea of where to build my skills. I also feel a bit torn between having a mission (create a significant positive social or environmental impact), the fact that I need to support myself and my expensive horse habit, and the desire for an outdoorsy lifestyle. I’m terrified of ending up behind a desk for a living, even if I’m very good at it. Thank you for breaking traditional passion thinking! Coming late to the party, I’m afraid, but still worth commending your work. “So Good They Can’t Ignore You” is like an Escher drawing, because the level of hard work and careful thinking demonstrates the premise as clearly as the examples. I learned to read at 3, and write at 4. For the first three years of school, they gave me my worksheets first thing, let me zip through them, and then sent me to the library. By the school’s count I read over 700 books, from levels K-8th grade, before I was 8. Then I promptly abandoned that path, spending the next 35 years choosing careers that seemed to ignite my “passions” — and failing. Everywhere I went, every time I wrote anything, someone said, “You should write a book” or “You should publish” or “You should go into that full time.” Even when I was laid off from one of my ill-fitting jobs with a huge severance, and jumped into ghostwriting as an emergency safety net, the solid six figures I made there didn’t clue me in. “Just lucky,” I told myself, “most writers don’t really make any money….that was just a fluke…got to get back to something I’m passionate about….” I proceeded to get back into my lifetime career as fast as I could. It was miserable; the results showed it: creaking cars; a house in need of repairs I couldn’t afford; a boss who thought I was a complete idiot; and a long commute to another state every day, following my passion to an awful job in a discipline I hated. I haven’t changed the world yet, but I have changed my world, at least a little. More career capital is needed to take the next step, but at least I know that it needs to be built. Thanks for taking the time, Cal. Well said.